Last Updated: 19 Aug 2013. 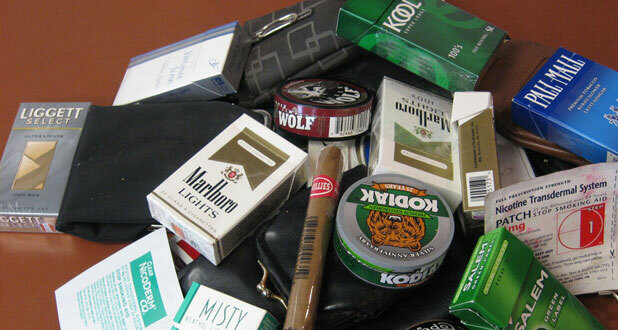 The use of tobacco can also seriously impair the user’s health. It can lead to cancer, heart attack, strokes and chronic lung disease. Babies born to mothers who smoke are often smaller and not healthier healthy than babies born to mothers who do not smake. Bronchitis and pneumonia are serious illnesses common in babies born to parents who smoke, but less common in babies born to parents who do not smoke. Babies whose parents smoke also have a greater risk of suffering from chronic lung disease after they become adults. We know that alcoholic beverages actually poison the body. Drinking alcohol causes changes in mood and results in lack of judgement and restraint, slurred speech, staggering and clumsiness. Larger amount of alcohol can produce drowsiness, stupor and even death. people who become addicted to alcoholic beverages are called alcoholics. They drink so much of alcohol that it damages their health completely. They suffer from diseases such as cancer and ulcers more frequently than people who do not use alchol.